How does chiropractic care help sports performance? When an injury occurs, your muscles and tendons become inflamed and swollen. Chiropractic care is effective in the diagnosis and treatment of sports injuries, and maintaining proper spinal alignment is essential in keeping these type of injuries from becoming a chronic condition. Every muscle and tendon in the body attaches to a bone or vertebrae, so when something becomes misaligned, it puts additional stress on the attached muscles. Proper realignment through chiropractic spinal and extremity adjustments helps maintain a proper range of motion and flexibility, and proper balance and strength allow the athlete to run and move at their peak performance. Dr. Allen Conrad is a Certified Strength and Conditioning Specialist through the National Strength and Conditioning Association (NSCA), the world leader in strength and conditioning research. Our combination of chiropractic care, massage therapy, stretching and therapeutic exercise is the perfect program for helping athletes work at their best, and when an injury does happen, return as fast as they can to playing again. Do chiropractors perform stretching and exercises with patients? As part of his adjunctive procedures license, Dr. Allen Conrad uses a combination of chiropractic care and therapeutic exercises to help patients improve range of motion, flexibility, core strength and balance. These improvements assist the athletes in returning to the field faster, and help prevent future injuries. A combination of pre-game stretches and regular chiropractic care has been effective in helping the rugby players stay longer on the field, and with less time missed due to injuries. If you are injured, you can’t help the team, and most players appreciate the treatment we provide for this reason. Rugby is a team effort, and it is important to do everything you can to return to the pitch as fast as possible to help the team succeed. What Types of Chiropractic Adjustments Do Sports Chiropractors Perform? 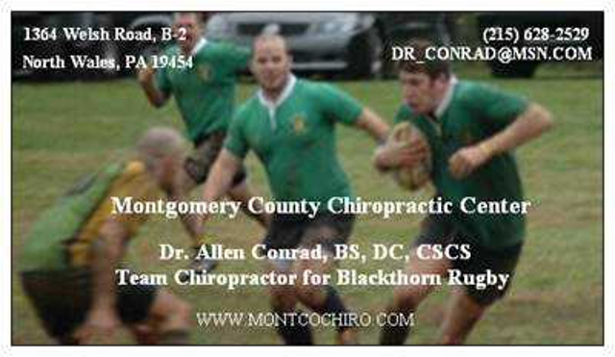 Dr. Allen Conrad is a former rugby player, and he can relate to common rugby injuries due to his experience and a second row for Millersville University, Palmer College of Chiropractic, and for the Blackthorn Rugby Team. Our office has performed chiropractic adjustments on the sidelines of Blackthorn matches, as well as in our North Wales, PA office. We use a few chiropractic adjustment techniques, including Diversified, Thompson Drop, Gonstead, Activator, Palmer Package, and Cox Flexion Distraction Technique for spinal decompression therapy. Each type of adjustment is carefully chosen by the doctor to identify which is most appropriate for your condition, and all of these techniques were learned by Dr. Conrad during his time at Palmer College of Chiropractic in Davenport, Iowa. Dr. Allen Conrad helped serve as an assistant for the Palmer Rugby Team, and also in the Palmer Rehabilitation Clinic during his stay in Iowa. He was also awarded at graduation with the Rehabilitation and Sports Injury Intern of the Year Award for his experience in sports rehabilitation. Dr. Conrad also worked at Karmich Chiropractic Centers for 6 years, which was the largest sports chiropractic facility on the east coast with over 40 locations. His experience with sports injuries and adjusting techniques has helped many athletes improve their sports performance, as well as other patients with similar injuries. How Does Massage Therapy Help an Athlete improve from an Injury? Massage therapy and chiropractic offer a combination of alternative medicine treatments for athletes like rugby players. Dr. Allen Conrad will examine and diagnose the injury, and instruct the massage therapist which region to perform the massage on. Different injuries require various types of pressure and style of massage, so during the examination Dr. Conrad can identify which type of massage treatment is best for the injury. There are different styles of massage treatments we utilize at Montgomery County Chiropractic Center, including petrissage, effleurage, tapotement, cross friction, Swedish, and deep tissue trigger point therapy. Each type has a specific purpose, and the combination of chiropractic care and massage therapy is effective in helping reduce spasm, pain, inflammation and scar tissue from many muscle and tendon injuries. Rugby is a team sport similar to football which involves running, tackling, kicking, and team work. Rugby is the second most popular sport in the world, second only to soccer, and it involves players playing offense and defense for two 40 minute half periods. 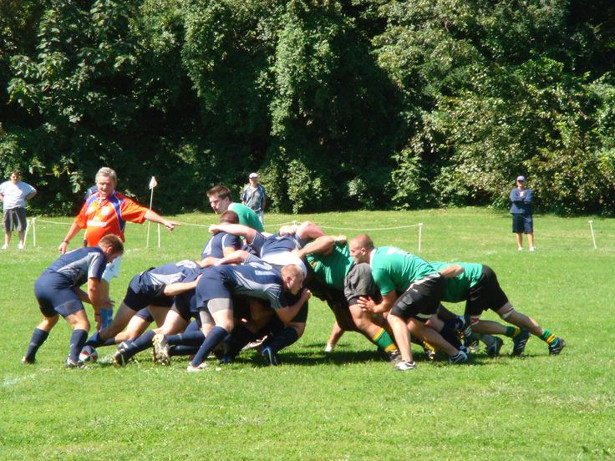 Traditional rugby involves 15 vs 15 players on the field at the same time, but a faster version of rugby called 7’s involves less players and more of a finesse game. Rugby involves the violence of football with the speed, kicking and endurance of soccer. It is due to this combination that rugby players get injured, and why chiropractic care and massage therapy for rugby injuries can help get them playing again faster. 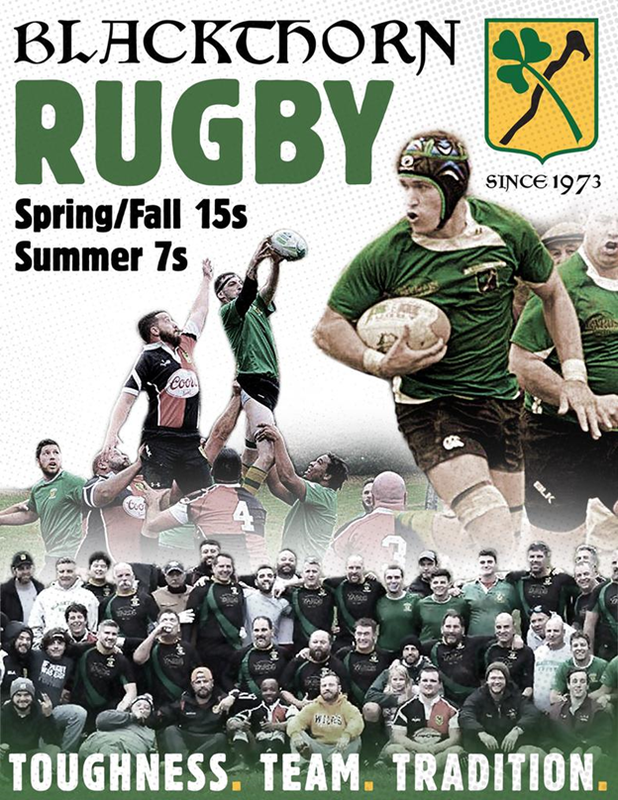 Blackthorn Rugby has been around since 1973, and have played their games in Horsham PA College Settlement in Montgomery County PA, Players come from various areas, including Lansdale, North Wales, Blue Bell, Horsham, Ambler, and also the Bucks and Philadelphia County regions. Rugby is a physical contact sport involving tackling, and chiropractic care has been effective in helping get the athletes back on the playing field faster with treatments. What kind of injuries happen in Rugby? To get patients and athletes back to their pre-injury status, we use a combination of treatments at Montgomery County Chiropractic Center. These treatments include chiropractic adjustments of the spine and its extremities, massage therapy, therapeutic exercise, balance and gait training, electrical muscle stimulation, therapeutic ultrasound, mechanical traction, trigger point therapy, as well as stretching and proprioception programs. Our goal is to use a whole body approach to spinal misalignments, and our patients appreciate our dedication to helping them recover. Whether its an injury related to a sports event, or if you twisted the wrong way lifting something, early detection and examination of an injury is essential for a fast recovery. Dr. Conrad will develop a rehabilitaion program for your injury that is specific to your goals and needs. Athletes need to get back to playing as quick as possible, but if the condition is not healed corectly, then future long term damage may occur. We help develop achievable goals with our patients, and help identify which type of activities they do in everydays life. By doing this, we can help prevent any setbacks which may occur and minimize an exacerbation. If you have tendonitis, then repetitive type activities like typing can cause shoulder and wrist flare ups. If you pulled a muscle in your leg, then getting back too soon to runing or lifting heavy weights can result in a muscle tear, which can take months to recover from. All of our care plan treatments are designed to help your recovery, and minimize the need for drugs or risky surgery options when appropriate. Helping improve spasm, pain and inflammation is important, but also working on balance and flexibility training with our staff will help improve the body’s core strength, and reduce the chances of the injury returning again in the future. Our patients recognize the importance of alternative methods for pain relief like chiropractic care and massage therapy, and are pleased with our wellness approach to health care. A healthy combination of exercise, chiropractic care, and proper nutrition can help you operate at your full potential, and we are here to help you.